Last week, I had mostly been on bed rest after undergoing a minor operation and I kept myself busy in between recovering and learning how to draw kawaii. I promise to do a simple tutorial on it soon. Probably when I’ve done several sketches already but for now I want to share the process of how I made my very first attempts. I of course chose to draw a beagle because I had been missing my dogs so much. So while I was up from a nap. I drew this. As you can see, it’s anything but cute. Drawing Kawaii means to draw “cute” and small. Basically it’s a drawing that can make you go “aaaaw” as soon as you see it. 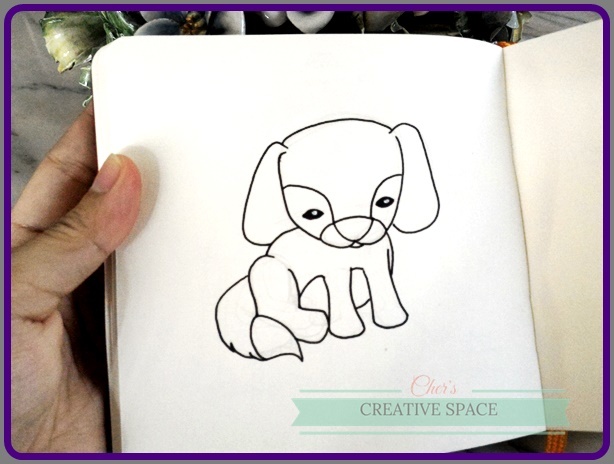 My drawing looked like a dog but didn’t look like a beagle. Plus the eyes were too freaky. Hahaha! After a few minutes of analyzation, I drew a second dog. This time, I made sure to correct my mistakes from the first drawing. I corrected the posture, I made the eyes a bit better and the expression less sullen and happier. It's cute but I wanted to make it cuter. The next day, this is what I came up with. Loads better in my opinion and I was finally satisfied with the proportions. I got out my watercolors and excitedly colored the piece on my Bockingford pad which I use nowadays a lot for illustrations because it's very handy. The beagle is complete and I know it's a little bit unconventional but it's my Kawaii version of one. I used colored pencils to give the colors more depth. What do you guys think? Any suggestions on what to draw in Kawaii style next?